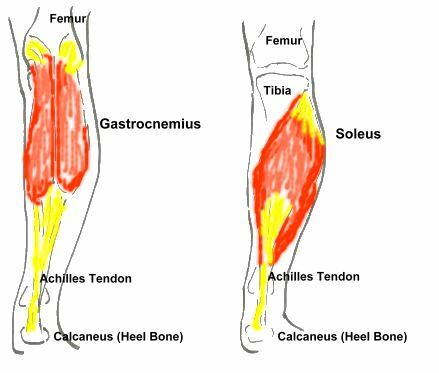 Why Is Calf Flexibility Important? 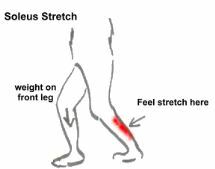 In every day life, the flexibility of your calf determines your gait – that is how you move. A shortened gait is not only inefficient but can lead to bunions and stress on your foot ligaments. For dancers, tight calf muscles mean you have difficulty bending and keeping your heels on the floor. This limits your range of motion on level changes and can cause tiring. 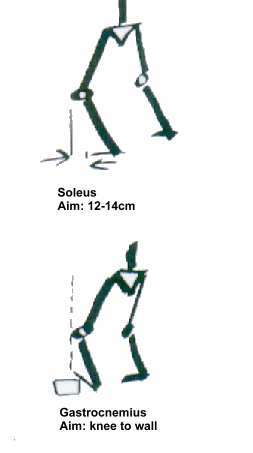 The soleus should be flexible enough that square on you can bend your knee 12-14cm in front of your toes (with your heel on the ground). To test this, stand front on to a wall, place a marker out from the wall at 12cm. Placing your toe on the mark, bend your leg until your knee touches the wall. If you cannot do it adjust the marker. Note down the value for each leg. 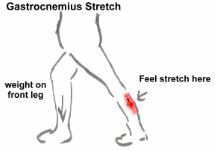 The gastrocnemius should be flexible enough that with your foot up at 45°, your knee can touch the wall. Check both sides. Lack of flexibility can be due to muscle tightness, bone alignment, or white tissue. Only the first will respond to stretching. (on a warm body) stand with one leg in front of the other; feet hip width apart in parallel and your pelvis in neutral. With your weight on the front leg, adjust the back leg until you can just feel the stretch in you calf. Hold until it starts to release. Repeat. Still with the weight on the front. Bend the back leg. Hold until it starts to release. Repeat. Now repeat on the other side. Correct alignment of feet and pelvis is very important - and remember to keep the weight on the front (non-strteching) leg.